I have 22 years of experience providing massage and facials to men and women to enhance health, beauty and well-being. When you come in for a session, we will talk about your health and your massage/facial protocol. I treat everyone specifically for their individual needs. My adjustable, hydraulic table allows for a comfortable, relaxing session in a beautiful private room. The answer is, YES! Using appropriate skin-care-at-home products, the aging skin with hyperpigmentation (brown spots); or, rosacea/sensitive skin; or, acne/scarring; or, dry skin can not only improve but correct! ALL FACIALS begin with an analysis of your skin condition. Together, we can make a difference in getting the results you want to have in your skin! That's a Promise!! It varies from person to person. Ideally, receive a facial every four to six weeks because that's how long it takes the skin to regenerate. Try to have a facial at least four times a year, as the season changes. You may need it more frequently if you are trying to clear up a case of acne, especially at the beginning. SkinCeuticals protocols and products are recommended for your individual skin condition. Come in wearing a comfortable attire. You will be asked to remove your clothing and be draped with a sheet. I will keep you draped during the session, only uncovering the area to be treated. I particularly use a non-staining, non-greasy massage cream, and coconut oil. Therapeutic Massage is the systematic manual manipulation of the soft tissues. This is for the purpose of promoting circulation of the blood and lymph, relaxing the muscles, relief from pain, and the restoration of metabolic balance. Any one particular technique, or a combination of several techniques can be used. Kathy is absolutely fantastic!!! She is very competent and determined to make sure you walk out completely relaxed and refreshed. Kathy is THE best massage therapist anywhere! My skin and life has changed forever! I struggled with acne for over 15 years and now my skin is clear and glowing! Thank you Kathy! I've been receiving massages from Kathy for several years and I highly recommend her! I came out of a stretching and massage session with Kathy feeling like a new woman. I can't recommend her enough. One of the best massages I've ever had...including that one on the beach in Thailand. Simply one of the best. I've been a client of Kathy's for over a decade. She knows so many ways to manipulate the body to better functioning levels. I recommend her at a minimum of once weekly. Kathy is an excellent massage therapist and esthetician - she knows what you need in order to feel better! :-) You will always receive warm, professional and knowledgeable care from her. Best massage in Naples, Awesome facials too!!! Fixed me in two sessions, and they were impromptu meetings at a park!! Love this lady as a human and a first rate body worker. I am the perfect person to write a review of Kathy’s skills — for I have enjoyed most of them for years. She is the ultimate professional. Her ongoing quest for knowledge that will help her better satisfy all our needs is endless. She is always up-to-date on procedures to make our life “even better.” While enjoying the luxury of a visit with Kathy, you are completely comfortable, listening to soothing music while healing hands do their magic. I consider myself very lucky to have Kathy in my life! 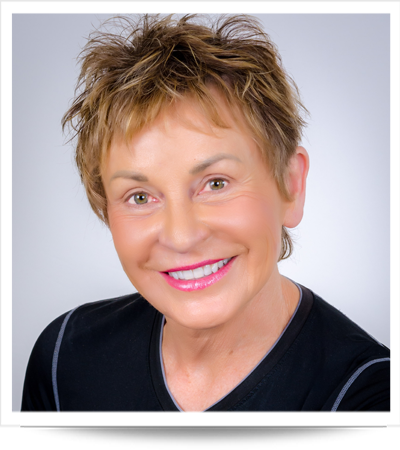 I have been to many, many massage therapists over the past 30 years for relief of various "issues with my tissues" and although I have had some very good massages, none compare to my experiences with Kathy. She is extremely knowledgeable about the anatomy, skin, nutrition, exercise and shares that knowledge along with the gift of her magnificent hands. She creates a very relaxing and spotlessly clean environment with beautiful music and neat massage accoutrements like the weighted heating pads and the "car waxer/buffer" as I call it! Kathy, you may want to put a note in here and tell the good folks reading exactly what those two items are REALLY called! Kathy is a beautiful lady, inside and out, and really cares about her clients and I am honored to call her my friend and über therapist! I do not have enough superlatives in my vocabulary to describe Kathy and her services! Thank you, sister! © Body & Face with Kathy Curtis. All rights reserved.